Resorts World Catskills is opening its $900 million doors this Thursday, February 8, in an effort to attract visitors traveling during the weeklong Chinese New Year holiday. The last of four commercial casinos to open in Upstate New York, Resorts World is the closest of the group to New York City at 90 miles, and also the costliest. The property is in Monticello, which is about a two-hour drive northwest of Manhattan depending on traffic. The four casinos were authorized by state lawmakers in an attempt to revitalize struggling upstate towns, but the three already-opened venues are falling well short of their anticipated gaming revenues. Gaming analysts believe the region has become too saturated, and has forced gaming floors to compete for the same customer. With the total price of the integrated casino resort expected to hit $1.2 billion when the forthcoming waterpark, entertainment village, and golf course are completed, Resorts World officials are looking to a new demographic to support such an investment. Empire Resorts, the casino’s parent company and a subsidiary of Genting Group, a Malaysian-based gaming and hospitality conglomerate, is targeting customers in Asia. Empire CEO Ryan Eller believes Resort World’s proximity to New York City makes it an ideal vacation destination for Asian visitors traveling to the US. “No market is easy, but we think that we have reasonable expectations and we have the right product and strategy to make this a successful enterprise,” Eller told the New York Daily News recently. 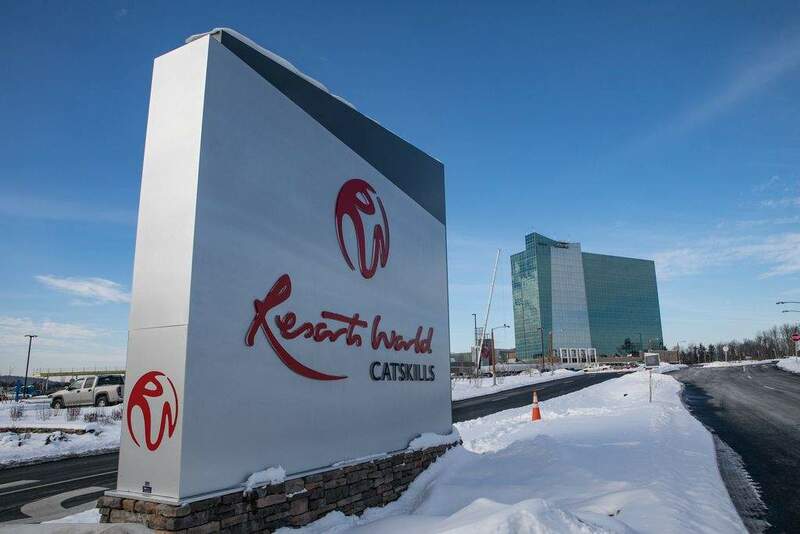 Originally scheduled to first welcome guests in March, Resorts World Catskills pushed up its opening in order to coincide with the Chinese New Year. The weeklong holiday begins with the new moon on February 15 and is celebrated through February 21. It’s expected that during the holiday period Chinese citizens will make over 3.5 billion trips. Resorts World hopes some will be to Upstate New York. 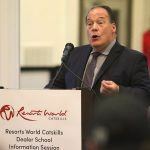 Marketing towards the Asian demographic is a leading reason why Eller believes Resorts World Catskills can be successful, despite other casinos in the region struggling in their first year. “Our strategy is fundamentally different,” Eller opined. 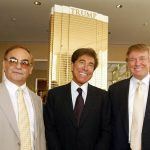 The executive added that much of Asia is already familiar with the Genting and Resorts World names through its casinos in Singapore, Malaysia, and the Philippines. 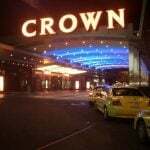 With annual gross gaming revenue around $5 billion, Genting Group is one of the world’s largest casino companies. But in the US, the company isn’t a household name like Caesars, a conglomerate that generates similar gaming income. Genting has long been trying to enter the US market by way of a large integrated casino resort. The corporation halted construction of its multibillion-dollar Resorts World Las Vegas in 2016 amid economic strugglers on the Strip. However, the project is now back on, and is slated to open in 2020. Resorts World Miami is another long-planned casino resort that still remains only a concept. Genting paid $236 million in 2011 for 14 acres of land in Miami’s Omni District, but Florida lawmakers still haven’t signed off on allowing a casino destination to be built in South Beach. 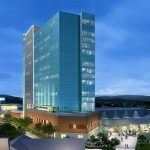 While Genting already owns and operates Resorts World New York City in Queens, a racetrack casino, the Catskills property will be its first integrated resort in the states. In honor of a famous Chinese warlord General Fong Shoyn Awn. Do you have restaurant in the casino I didn’t see them in any pictures.,looking forward to come Check out the casino this weekend. is the opening a definite go for tomorrow?